1. Dough: Grease a large bowl with cooking spray. Mix together water, condensed milk, oil, sugar, and egg in a large measuring cup. In the bowl of a standing mixer combine flour, yeast and salt. Fix mixer with a dough hook. Turning the mixer to low, add the water mixture. Once the dough comes together, increase speed to medium and mix until you have a shiny and smooth ball, 4 to 6 minutes. Then turn the dough out on to a heavily floured work surface, shape in to a ball, and place in the greased bowl. Cover the bowl with plastic wrap and let rest in a warm place until doubled in size, about 1 hour. 2. 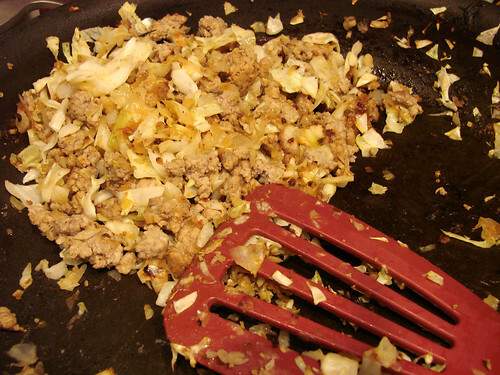 Filling: Add olive oil and garlic to a large skillet and heat over medium-high heat until garlic begins to brown. Add the pork and lamb and cook until meat begins to brown breaking up any large clumps as the meat cooks. Using a slotted spoon, remove meat from pan. Add the cabbage and onion to pan and cook until just beginning to wilt (you want there to still be some crunch in your runsa). Return the meat to the pan. Season with salt and pepper, and cayenne pepper, if desired. 3. Baking: While the dough is rising, preheat the oven to 350 degrees. Coat two baking sheets with cooking spray or cover with parchment paper. Divide the doubled dough into 8 equal pieces and roll each piece into it's own separate ball. Using a rolling pin, roll out each piece into 7-inch circles. Place one dough round into a deep round cereal bowl. First add 1 oz of cheese then spoon approximately 3/4 cup of filling over the cheese and pinch the edges of the dough together to form at bun. 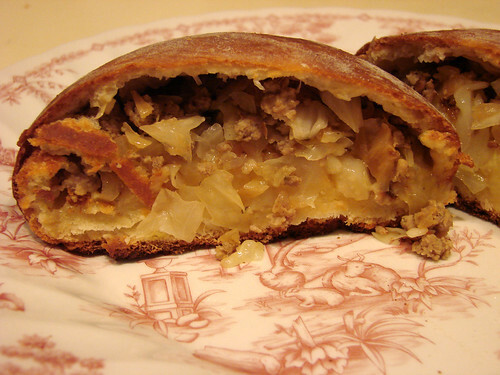 The seam of the bun should just cover the meat, you don't want a lot of excess dough at the seam. 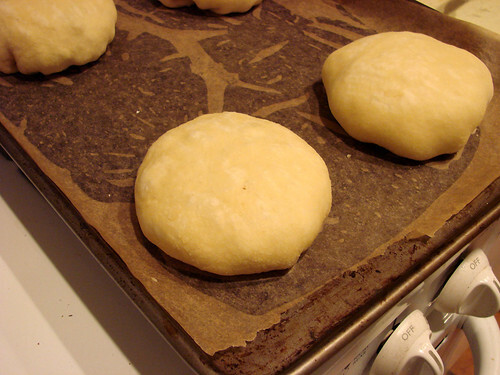 Then transfer the bun, seam-side down, to the prepared baking sheet, and repeat placing four buns on each sheet. Once buns are prepared cover sheet with plastic wrap and let rise until puffed, about 20 minutes--I've also had success letting them rise covered overnight in the refrigerator. Once buns have risen, lightly brush the buns with scrambled egg. Bake the buns until golden brown, about 15-20 minutes, switching and rotating the baking sheets halfway through the baking time. Serve and enjoy. 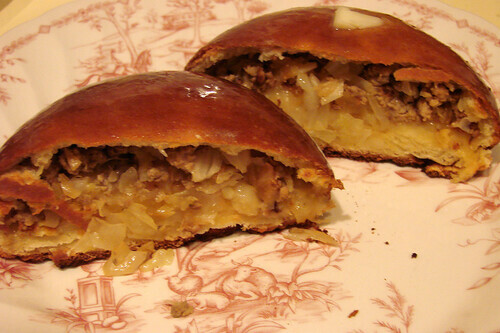 If desired, when the buns are fresh out of the oven you can melt a little pat of butter on top. 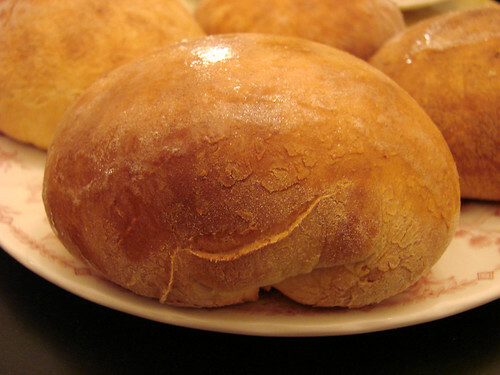 These hearty buns are perfect for a chilly winter's afternoon or evening and are great with a bowl of warm soup. I am on my way great pictures looks great. Awesome! 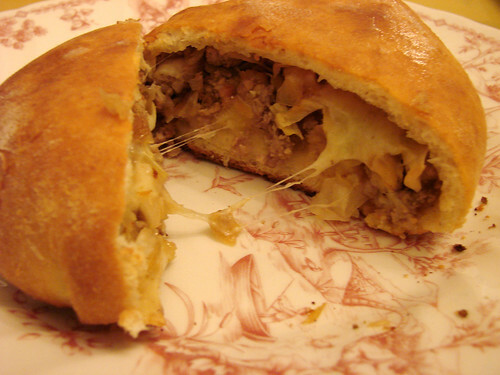 We have a Runza in my town and I think their sandwiches are amazing! I'll be featuring this post on Sunday Shout Outs on Jayhawk Girl's Kitchen this weekend. Hope you have a great holiday! If you really want to change this up, as I did, try this. Season the beef with taco seasoning, a little spicier than you are used to and drop in shredded cheddar before you put the meat in the dough. Turns it into Mexican food and soooo yummy! The reason for more spices is because my dough at least, is a little sweet and it evens out in the end....I'm actually making these this week and found your website yesterday. I already love it. Sorry for the rambling.